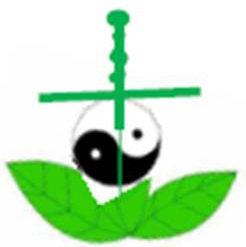 If you are very interested in the indications of Acupuncture and Chinese herbal medicine, please back to "Home" page, tap the links under the column "Resources about Chinese Medicine & Acupuncture" , and read the related information. Here in this page listed some conditions we often help in clinic. Acupuncture has immediate or cumulative therapeutic effects on acute pain and chronic pain in various situations, e.g. headache, musculo-skeletal injuries, fibromyalgia, arthritis, other inflammatory pain, neuropathic pain, cancer pain, etc. For acute pain, even if sometimes the symptom looks very severe, general speaking acupuncture can work quickly. Many people can feel obviously and immediately relieved of the pain after treatment. Some conditions such as acute waist sprains, acute stiff neck, acute elbow pain, may be fixed completely in 1 or 2 treatments. However, some diseases onset acute with the background of the chronic injuries or organic diseases, such as cervical spondylopathy, prolapse of the lumbar intervertebral disc, should take more time to be relieved or cured. Chronic pain is often defined as any pain lasting more than 12 weeks. Chronic pain not only hurts. It may also cause isolation and depression. Oppositely, isolation and depression will make the chronic pain worse. This is a vicious cycle. Acupuncture can help not only physical to relieve the pain, but also emotional to calm the spirit. Modern research showed that the essence of acupuncture is mainly the activation of the endogenous antinociceptive system to modulate pain transmission and pain response, resulting in the diminution of pain perception and aversive reactions. The effect of one session treatment may last different time in different cases. Generally speaking, 2 to 3 times treatments in one week continuously will be recommended. Lifestyle change and exercise will be educated to maintain the health. In some severe situation, 2 to 3 courses or even more treatments may be needed to cure the disease and rebuild up the balance of the whole body. Some complicated diseases, such as ankylosing spondylitis, femoral head avascular necrosis，osteoporosis, acupuncture also can help to relieve the symptoms. Among the most frequent and serious neurological disorders, stroke is a leading cause of severe, long-term disability in the world. The clinical practice of acupuncture on stroke can be traced back more than 2500 years ago, as recorded in Huang Di Nei Jing. Currently, acupuncture is widely used for the treatment of stroke in China and other oriental countries. It is also recommended by the WHO and NIH as one of the alternative and complementary strategies against stroke. Time window is very important for treating stroke and the related sequelae on physical, emotional and cognitional. For cerebral ischemia, acupuncture treatment can be used as early as possible. For cerebral hemorrhage, acupuncture can be used when the vital signs come to stable. In traditional Chinese medicine, the combination of acupuncture, moxibustion, cupping, herbs yield more satisfactory results. Each treatment course varies from 2 to 6 weeks, depending on the condition. Some conditions require multiple treatment courses with break intervals. Acupuncture works well for other atrophy or paralysis due to peripheral nerve injuries, e.g. peripheral facial palsy, brachia plexus injury, median nerve injury, radial nerve injury, ulnar nerve injury, sciatic nerve injury, etc. Early intervention of acupuncture is important and patients have better results when treatments begin during the acute phase. For chronic patients with long-term deformities, more treatment and more complicated techniques should be combined together. TCM gynecology has a long history more than 2000 years. Typically it includes 5 big categories: Menstrual disorders( Jing, 经), Leukorrea diseases (Dai, 带), Pregnancy related diseases ( Tai, 胎), Diseases related to childbirth and postpartum (Chan, 产), Miscellaneous diseases ( Za Bing, 杂病). According to the data in 2013 Alzheimer’s disease facts and figures , one in nine people age 65 and older (11%) has Alzheimer’s disease...Many age-related diseases, such as AD, may begin 20 or more years before symptoms appear. What Can We Do to Prevent Aging and Age-related Diseases? Traditional Chinese Medicine Opinion is : We should keep an eye to prevent aging starting from 35y（5x7) for female, from 40y(5x8) for male. If summarize the key points in Huang Di Nei Jing（黄帝内经）, the classical book of Chinese medicine formed 2000 years ago, we can get the conclusions: Good Sleep, Balanced Diet, Less Stress, Proper Exercise, Right Believing---Five Secrets for Anti-Aging! If you can follow the five rules, I am sure that you can look forward to a healthy, happy, peaceful future! On the basis of your constitution, Chinese medicine also has some special techniques for anti-aging, but the final goal is to help your body to get a balance in physical and in spiritual.